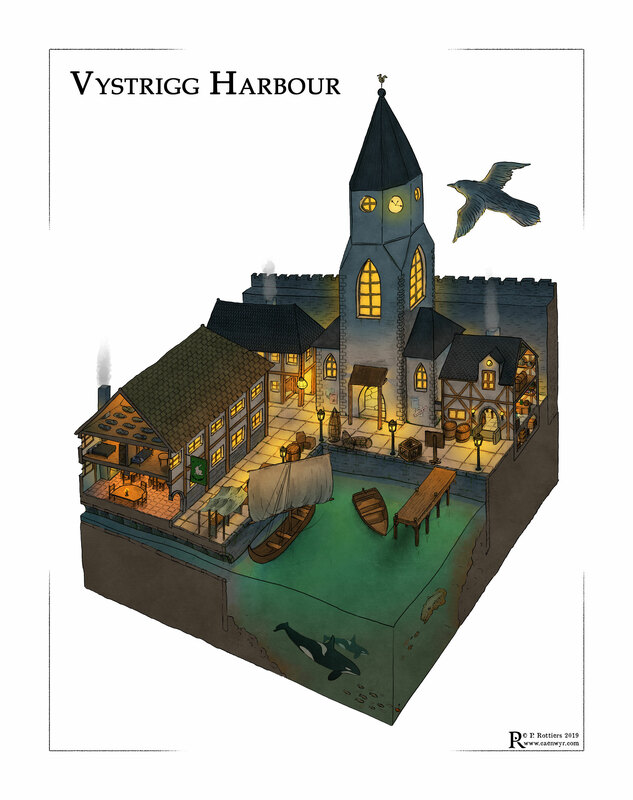 I'd like to present Vystrigg Harbour—or at least a tiny section of it. This little slice shows the corner of one of the docks closest to the city walls, at a pleasant hour in the evening. There's one little object poking out of the map edges - bonus points if you can find it!